 Ben Aley Bey, a powerful sheik, is attracted to Eleanor, the daughter of the leader of a hunting party aboard a paddle boat, and decides to add her to his harem. He recruits an unscrupulous guide named Olaf to lead the party towards his jungle palace to allow his local native tribe to capture the girl. 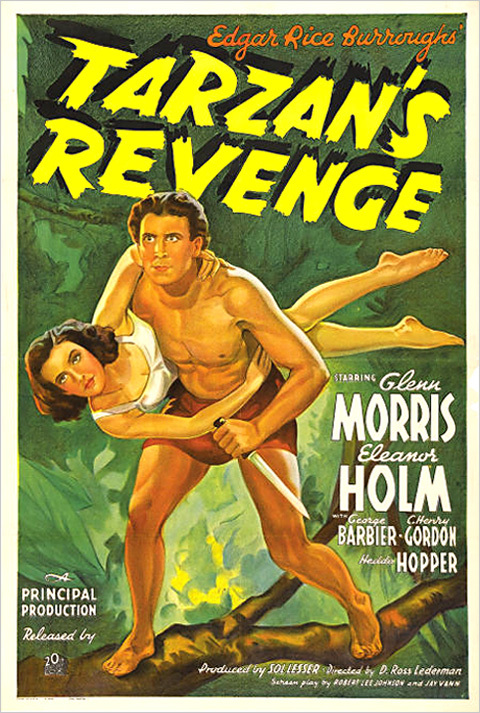 In the jungle Eleanor meets Tarzan, a primitive wild man, who abducts her and carries her into the trees. Eleanor spends the night in the jungle with him and when she returns to her family she realises that she is strongly attracted to this strange man. The sheik's natives ambush the party at a rope bridge, seize Eleanor and take her to Ben Aley Bey's jungle palace where he unsuccessfully attempts to entice her with the pleasures of his court. Alerted to Eleanor's plight by his chimp friend, Tarzan storms the palace and carries off Eleanor, hotly pursued by the sheik's men. At the rope bridge Tarzan cuts the supports (left) and the sheik, Olaf and their men plunge to their deaths. Eleanor farewells her family and stays in the jungle with her new love.